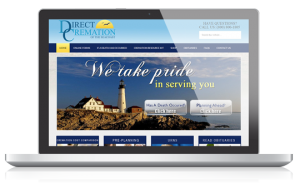 Cremation Arrangement Websites | Funeral Results Marketing our principal has directly worked with and helped more owners position and launch website-based cremation businesses than anyone in the U.S. or Canada. 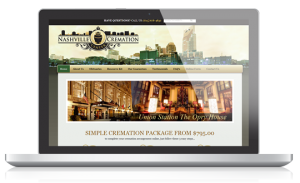 He has assisted two family-owned cremation businesses in passing the mark of $1M in online revenue per year. 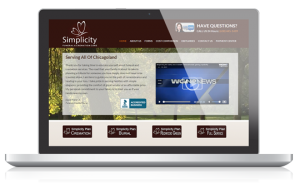 He can show you how to position your business in ways the generate more interest and shopper calls. 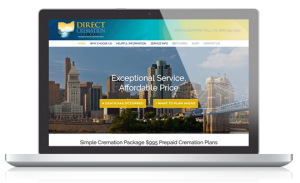 While FRM can build you a truly effective cremation arrangement website, we can also help you accelerate the growth of your business at a lower cost — because no other company understands this space like we do. have honest clients that deeply value our mutually beneficial relationships, which they find invigorating and worry free. If you don’t think we delivered what we promised, you get your money back. It’s that simple. Families can digitally initial and sign your cremation authorization form, or any other forms, with our powerful platform. The archive shows the date and time the form was signed, and ISP of the signer. View Demo. You choose your website’s look, package components, optional choices and merchandise. We then build it with your forms. There is no fee and no limit on changes to pricing, options or merchandise. Once completed, you own your website. Other companies only lease their system to you so you can’t leave. If we don’t earn your business each day, you can take it and go somewhere else, and it will still work. Tired of your monthly fee only paying for basic customer service? FRM gives you free website updates to ensure you maintain the best usability and eCommerce performance, with a new design every 12 months. Built SEO friendly from the ground up on the most popular platform in the world, our sites are fantastic on Google. We have had new websites rank # 1 in Google within 1 year without spending money on SEO. We serve you like you serve your client families – quickly. 90% of requests are completed within 24 hours. Any critical issues receive immediate attention. 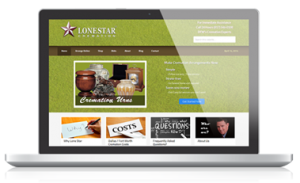 A cremation website is more of a marketing strategy than anything else, and you will benefit from our marketing expertise, plus the videos, FAQs, and downloadable resources that are included. Many businesses spend a fortune on unduly expensive AdWords “clicks.” As a Google AdWords Certified Partner, a rarity in deathcare, we have tediously developed our advertising campaigns to spare you such costs. 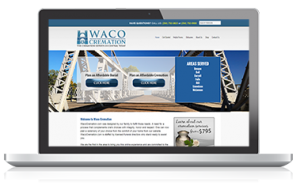 Even for a cremation website, online obits are the biggest driver of traffic and the first introduction to your cremation brand for many visitors – assuming your obits rank high in Google. Ours do better than anyone else’s. For answers to the most common questions regarding this topic, please see below. 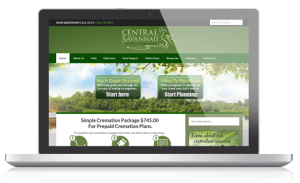 Why Do Owners Like Cremation Websites? 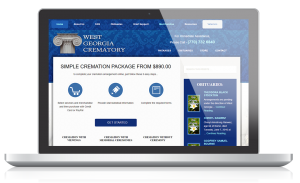 A cremation website allows a business to do the following. 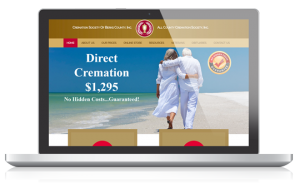 If the key to success matching a specific product to a specific consumer need, then cremation arrangement websites are a perfect fit. At the 2008 CANA convention, Batesville shared a frightening and/or exciting statistic, depending on your objectives. The independent study they commissioned in 2000 found that 47% of families that had previously arranged a cremation agreed with this statement: “making arrangements does not require the help of a funeral director.” In 2008 that number had grown to 62% (Nectar Ramirez – [now] Director of Customer Training). Today it is 70%. So, there are millions of consumers ready to arrange themselves. 33% said, as of Feb. 2017, it was unlikely they could pull together $2000 within one month for an emergency (New York Fed survey). But that number jumps to 67% for those with credit scores of 680 or less. Some business owners see the solution as offering crowd-funding or financing. But for people that don’t like those options, a low-cost cremation business is the likely choice. 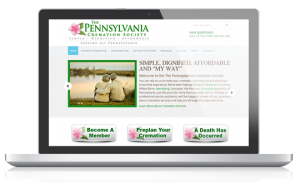 Offering a cremation arrangement website makes a low-cost cremation option more attractive. Overall, 64% of Americans indicate that, all things being equal, they prefer buying from physical stores to buying online. Of course, all things are often not equal – and a substantial share of the public says that price is often a far more important consideration than whether their purchases happen online or in physical stores (2016 Pew). 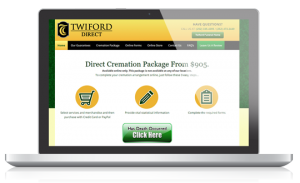 Cremation business owners have long told us they think the appeal of online arrangement is that families can arrange at their convenience, in privacy, and without fear of being taken advantage of – a still too frequent situation. 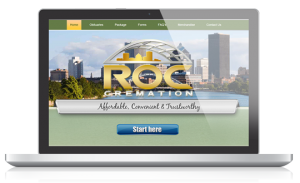 Considering how regularly consumers make online purchases, enabling them to make cremation arrangements online seems only logical.